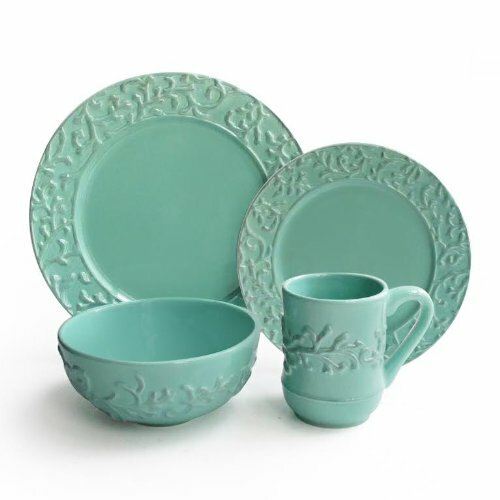 Teal colored dinnerware sets make me happy! 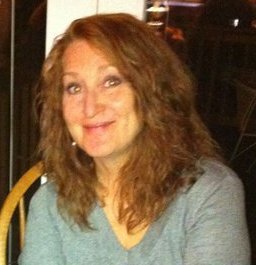 Years ago my husband and I took a trip to Cozumel, Mexico. I had been to the beach many times, but never outside the states. I fell in love with the ocean all over again when I saw the clear aqua blue of the ocean in Mexico. It was so beautiful! 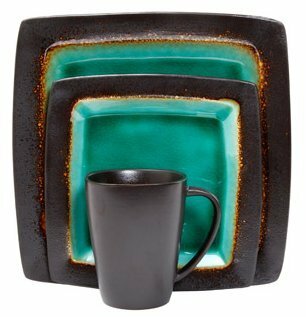 Since then I have used the color teal or aqua or turquoise, what ever you call it, in my home as accent colors. 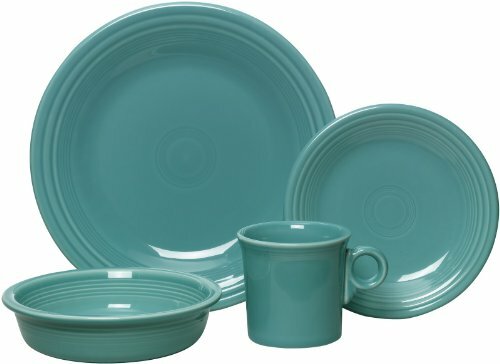 When I use teal in the kitchen, I feel that it is very clean and uplifting color. 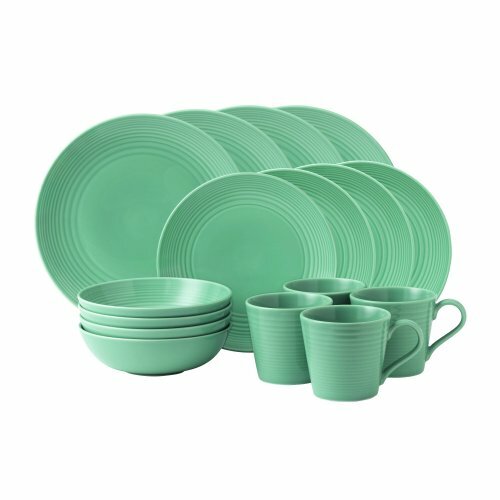 Who can be angry in a teal kitchen? 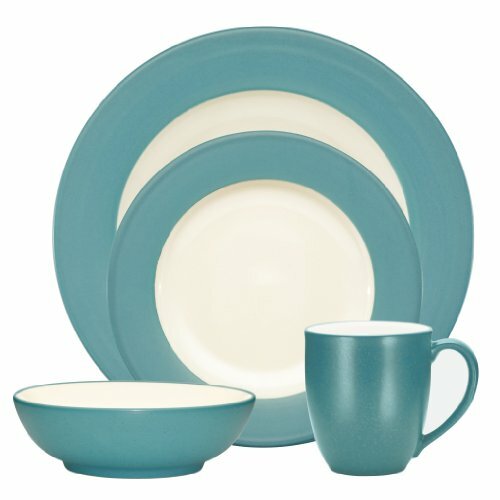 This year teal is a very trendy color, so it makes choosing teal dinnerware sets an easy choice. I like things that are easy…don’t you? 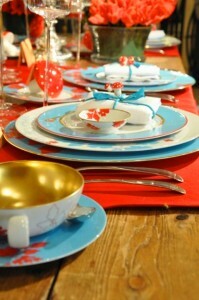 Also, teal is not tied to a holiday or something that would limit when and where you can use it. 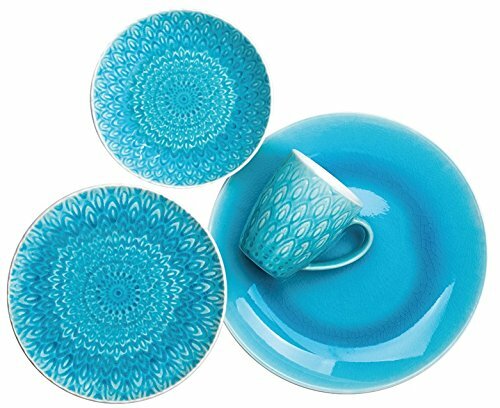 Pair it with other colors for a vibrant table. Here red is used and it is amazing. 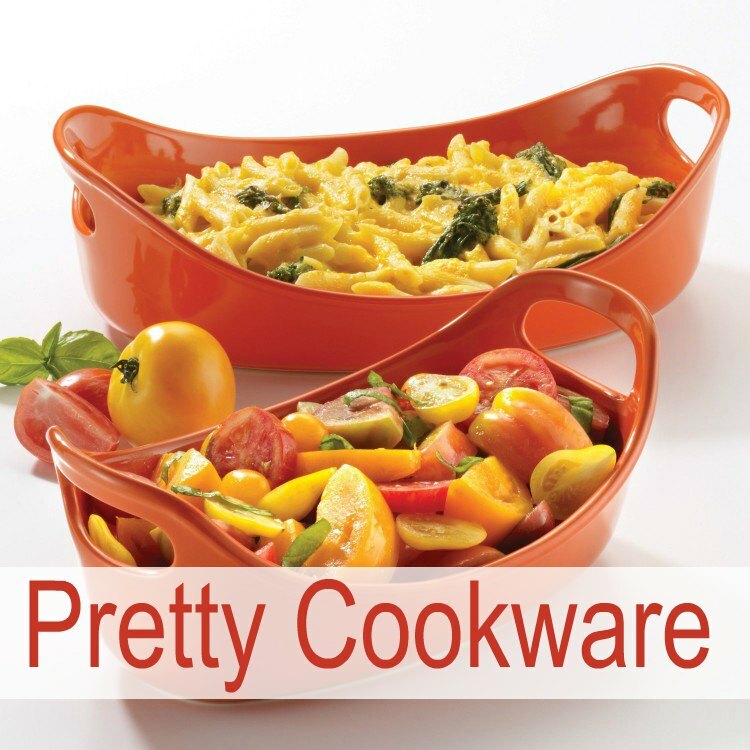 But try yellow and brown and even my favorite, orange. 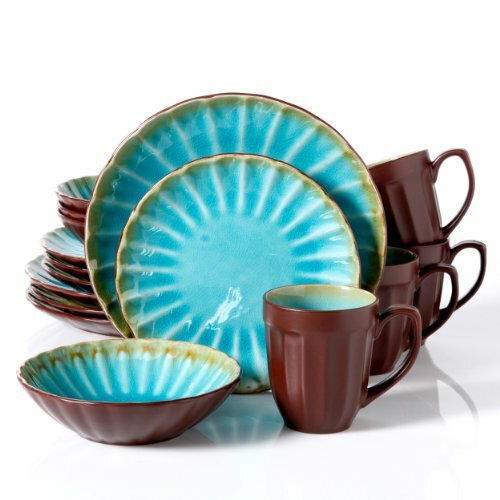 Each color you pair with teal will change up the mood of the teal dinnerware. 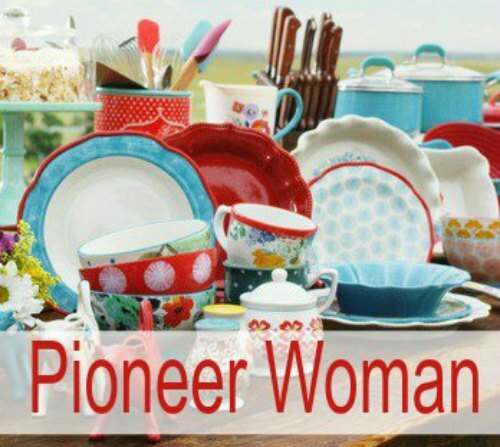 Play with it…it’s fun to do! 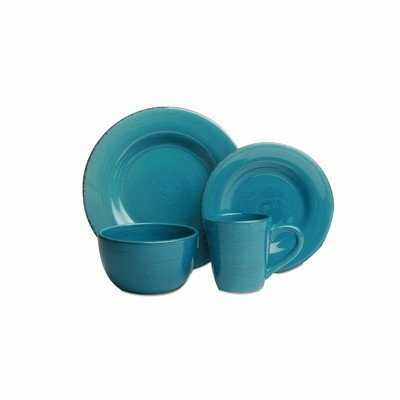 Solid teal colored dinnerware sets are great because you can use them as they are. 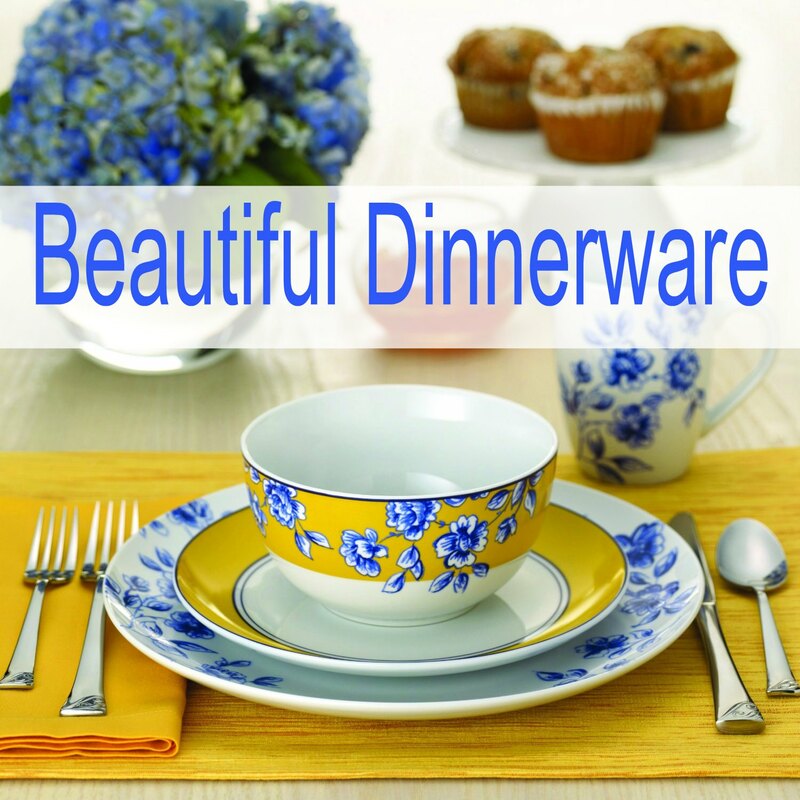 Grab a colorful table cloth and some linen napkins and your table will look beautiful. 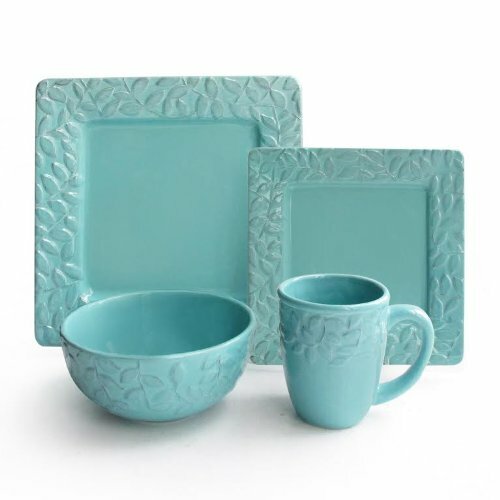 Play with the colors that you like to pair with teal. I really like the red in the picture above. 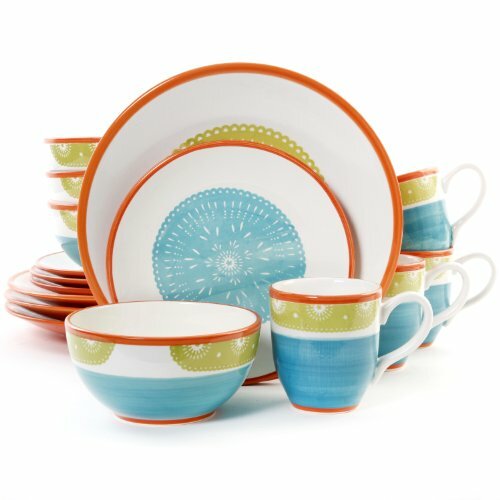 I like to mismatch my dinnerware with other colors. They don’t need to be color coordinated for them to look good together. 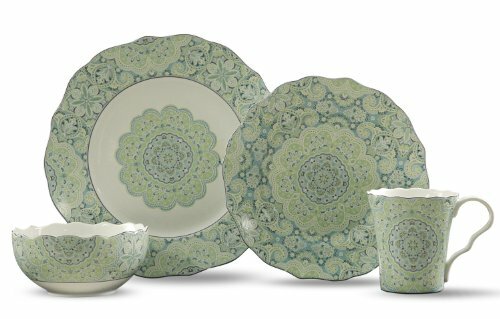 You can buy sets that have coordinating pieces already that bring in more colors. 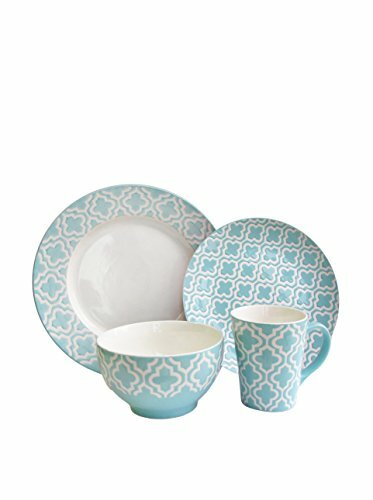 If you are using teal as your splash color in your kitchen, these work really well. 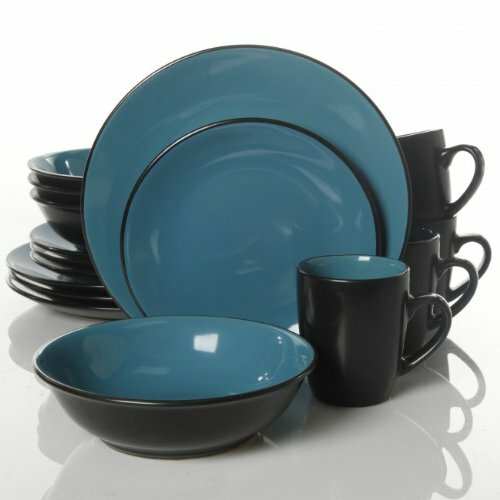 There is no guessing what the coordinating colors should be, they will be dictated by the other colors in your dishes. 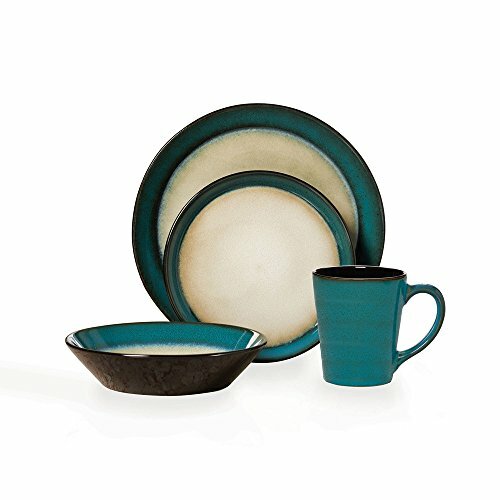 Teal dinnerware sets can go from season to season or you can use them for the warmer months. That’s when I think they would look the best. 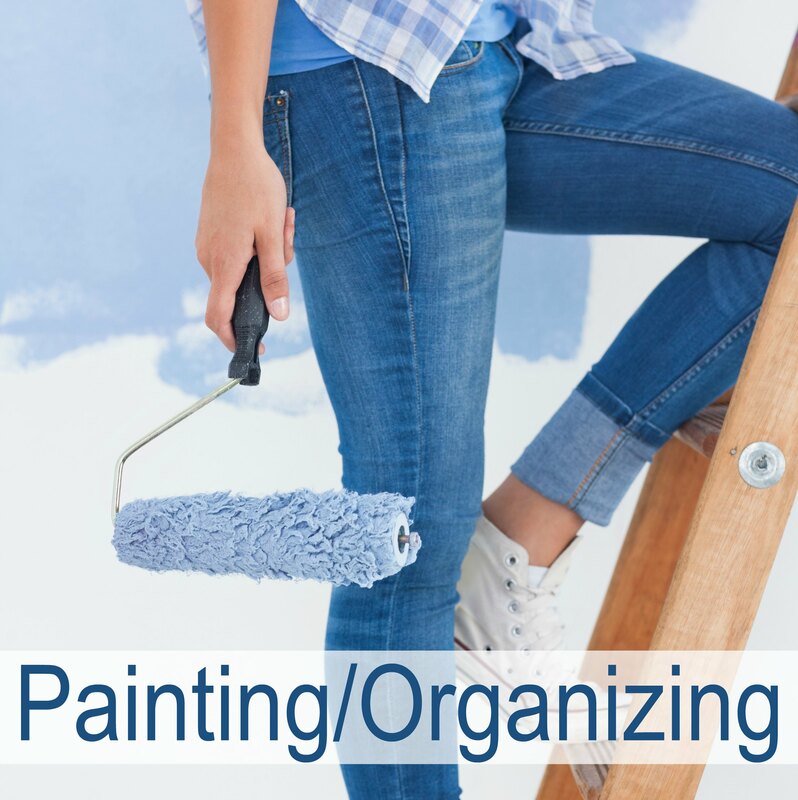 Unless you pair them with a darker color, like brown or rust. 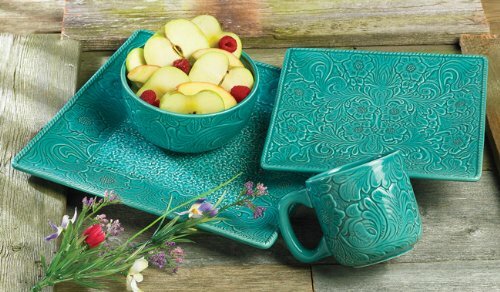 Teal dishes look wonderful with those colors and they would be considered winter dishes. 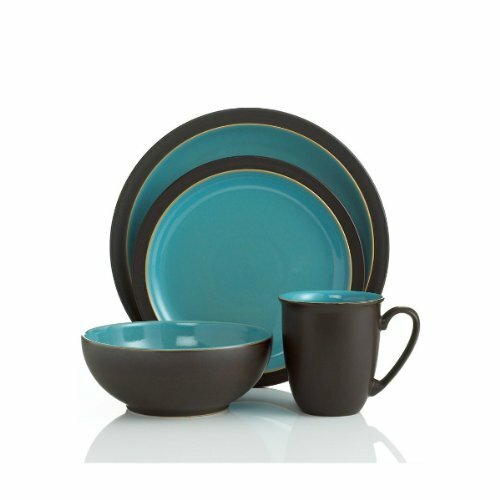 Here are a couple good examples of teal with darker colors. They have that warm winter look. 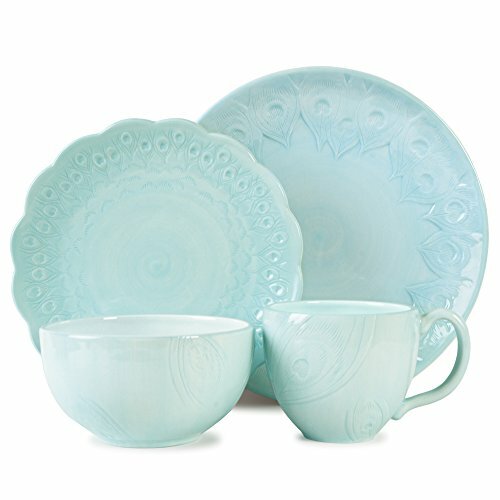 I have a hard time choosing a teal colored dinnerware set because they are all so pretty. 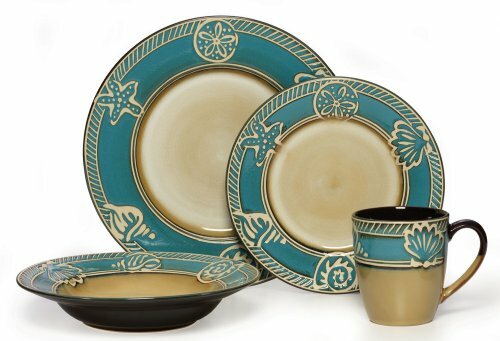 Also, I can see so many of these sets combined to create a stunning table. But in the end, you just have to go with your heart. What makes your heart go twitterpatter. You girls know what I mean. 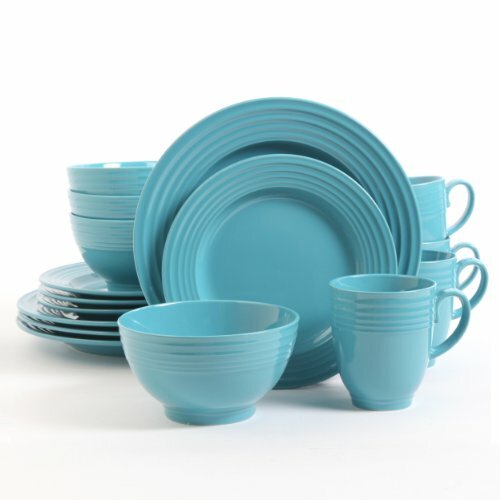 Is your perfect Teal Colored Dinnerware Set one of these? 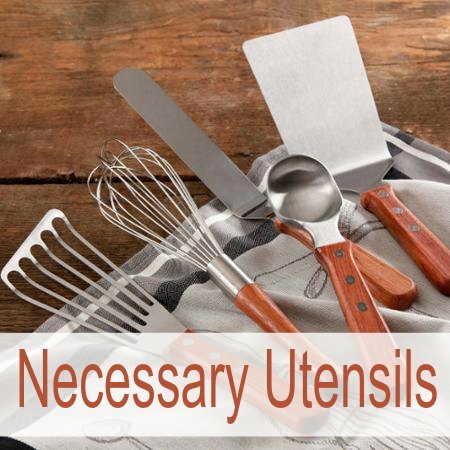 If not, there are lots more to find. Keep looking! 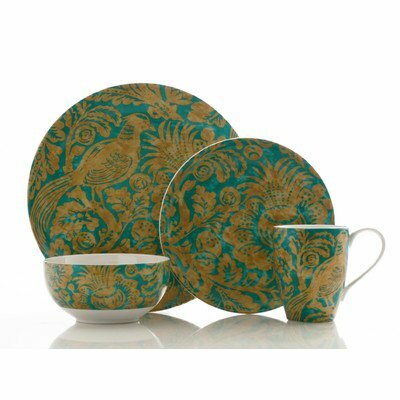 I really some of those teal sets! The one on your cover photo looks so rich! 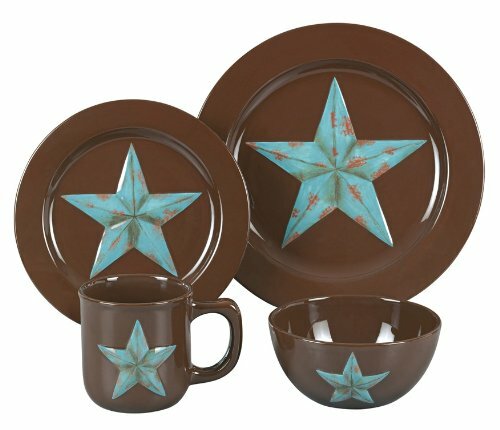 I also really like the combination of teal and brown. 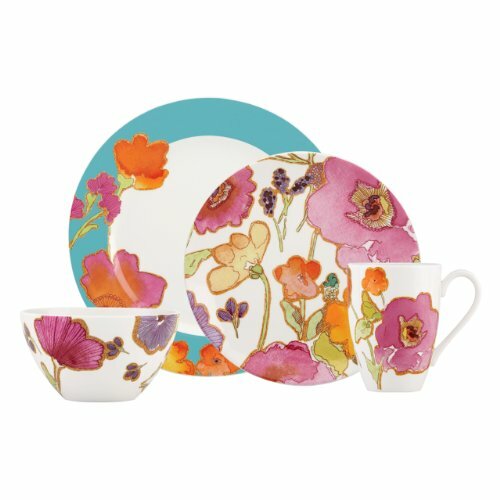 I would have such a hard time choosing between some of these sets. 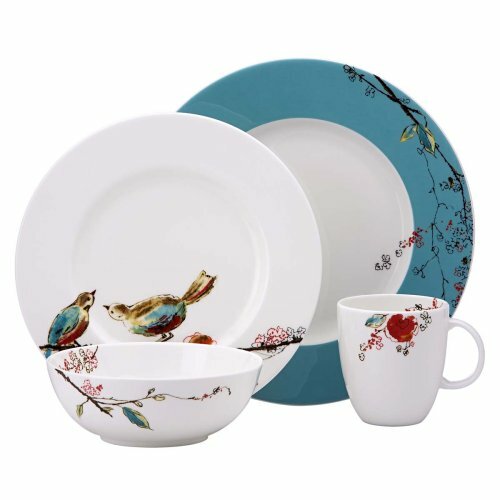 I love the Lenox Simply Fine Chirp dinner set. Very cute! 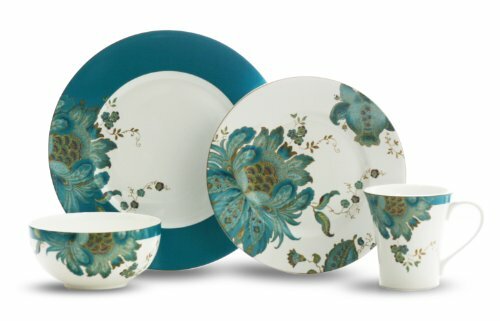 So many great ideas, I agree with Lynne, that Lenox set with the floral print is really beautiful! 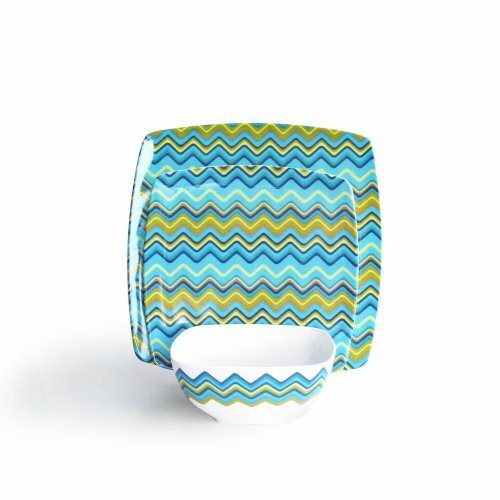 I like that you went beyond simple, one color sets and explored a few wilder combinations! Oh WOW! 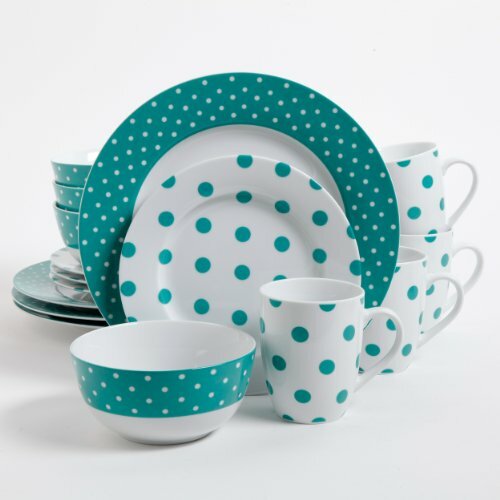 For me, it has got to be the Simplemente Delicioso – I just love colour! 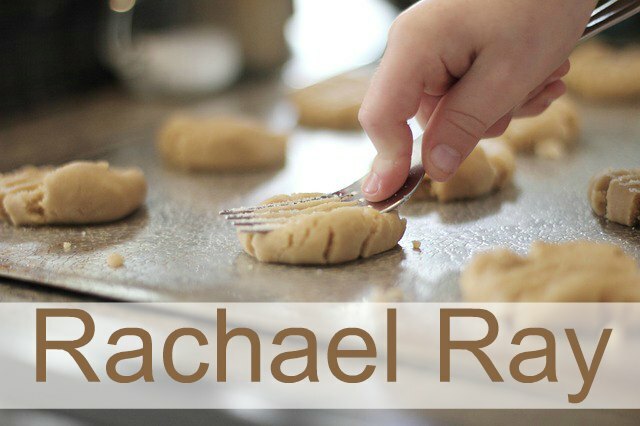 You always do a good job finding easy pictures to pin! Can’r wait to see what other themed sets you find in the future. OMG, I love these! And the way you’ve displayed them to tantalize my visual taste buds is awesome. 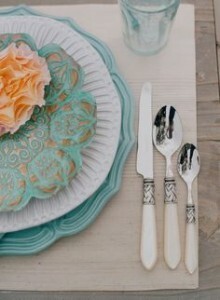 I am envisioning these dishes in my someday house. 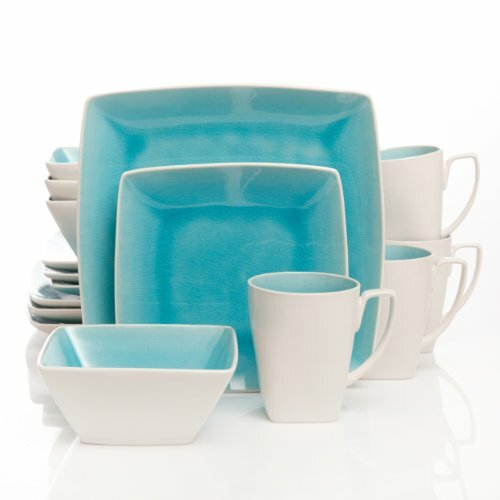 So many beautiful sets of Teal dinnerware! It’s hard to decide. 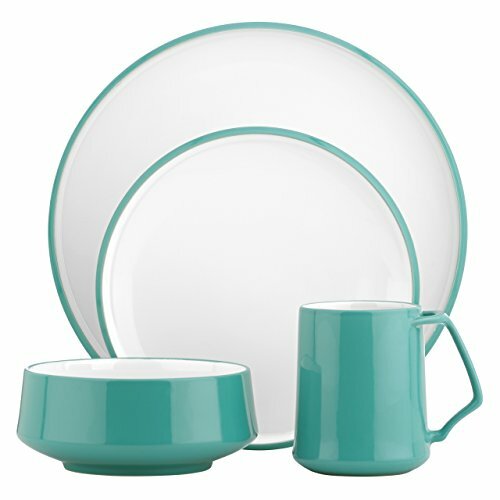 These teal colored diner sets are beautiful! My den is done in teal and brown! I love that combination! I Love the square tea;, BE LEAF ME. 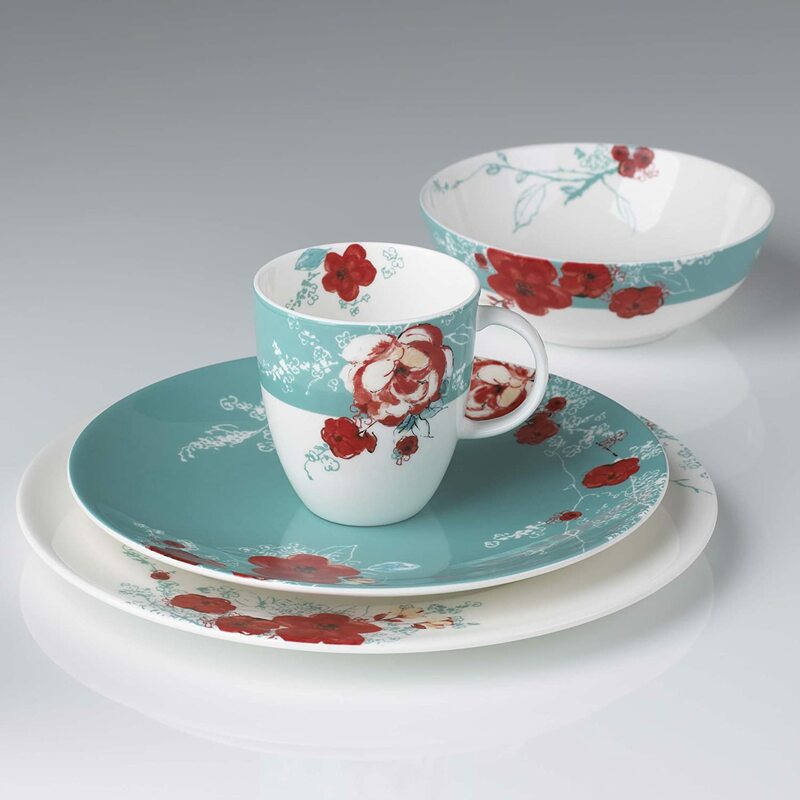 but I do not want the cups. 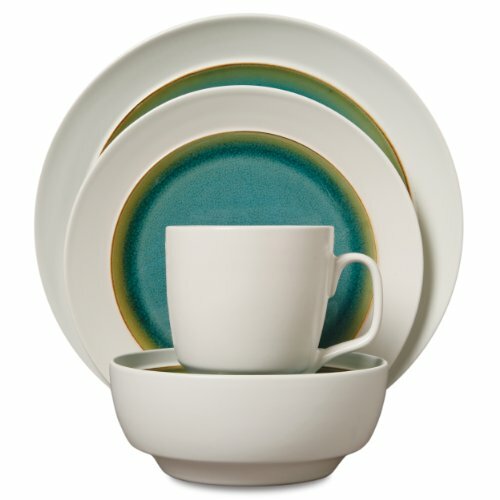 I wish that they came with extra dishes and bowls instead of the cups.